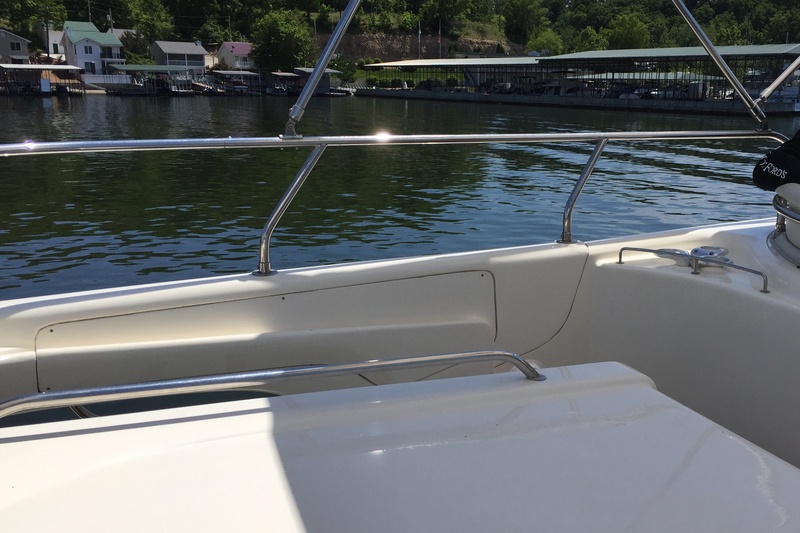 Beautifully appointed sedan bridge with fashion forward designing. 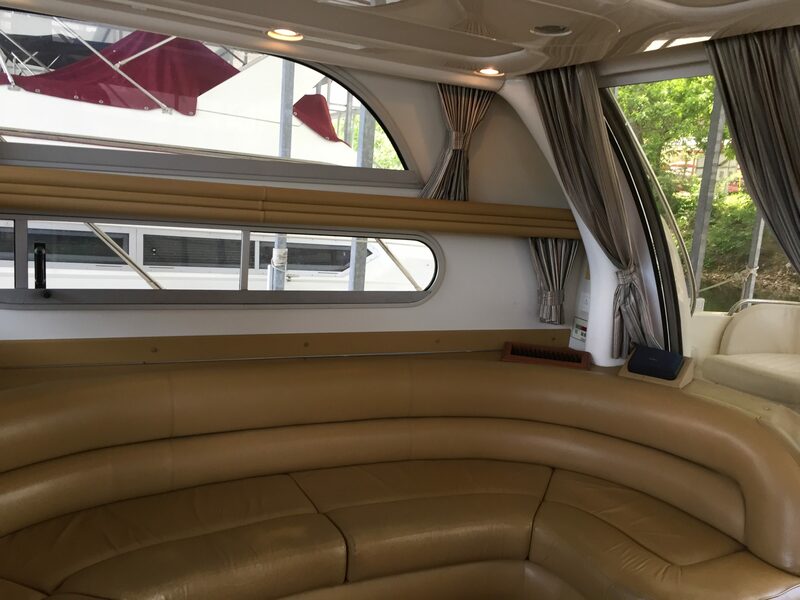 This classy vessel offers twin diesel engines, diesel generator, two heads, dual helm stations and two private staterooms. 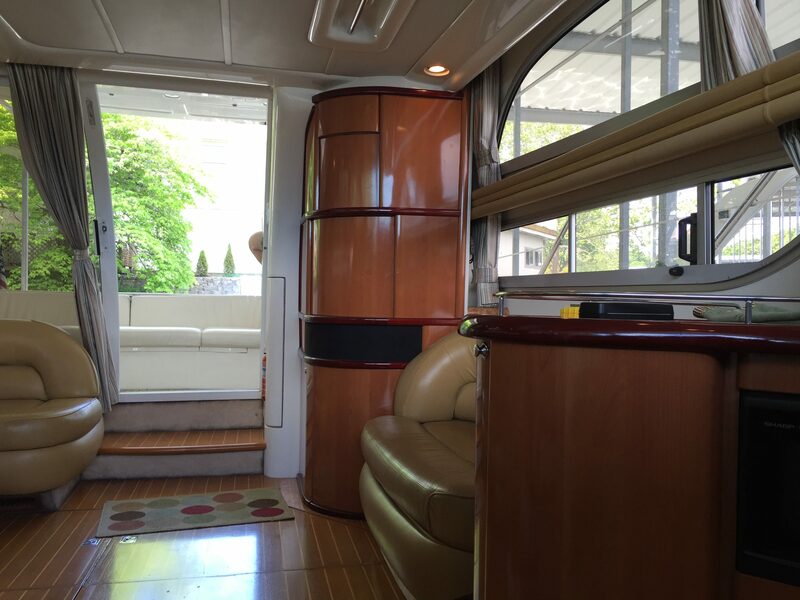 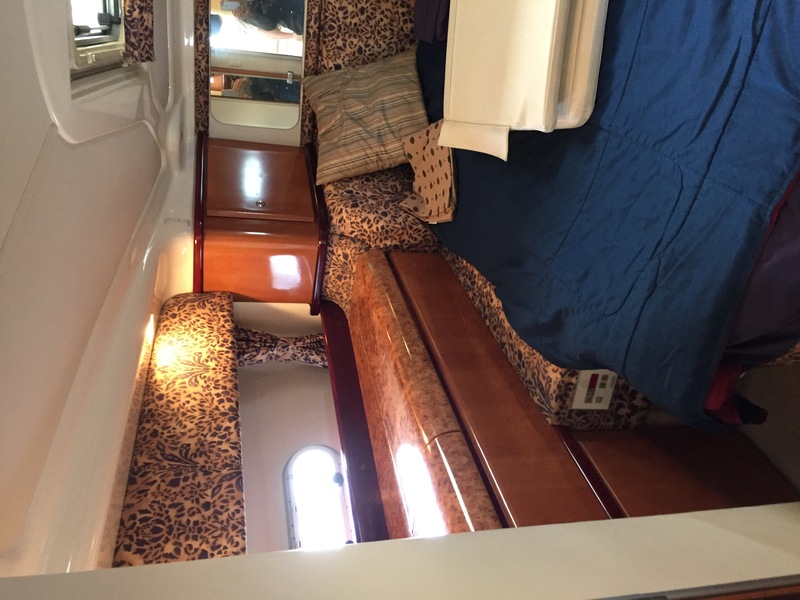 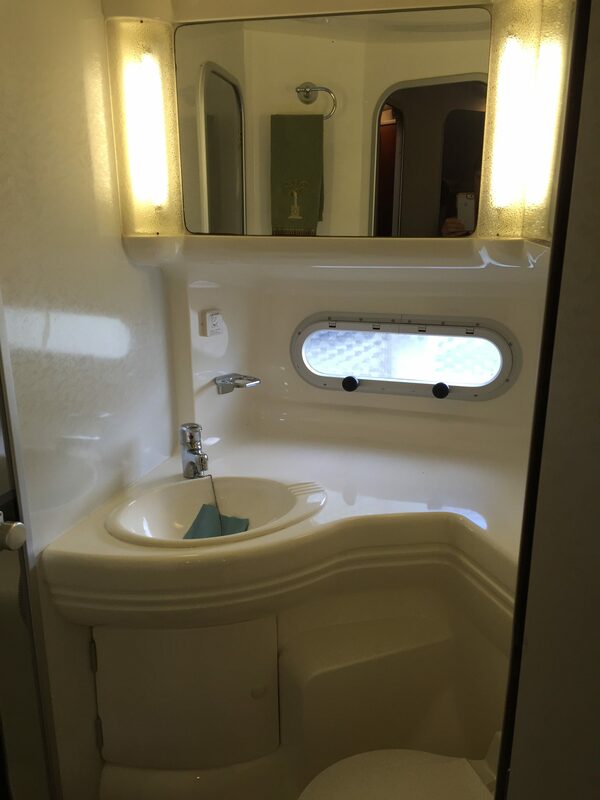 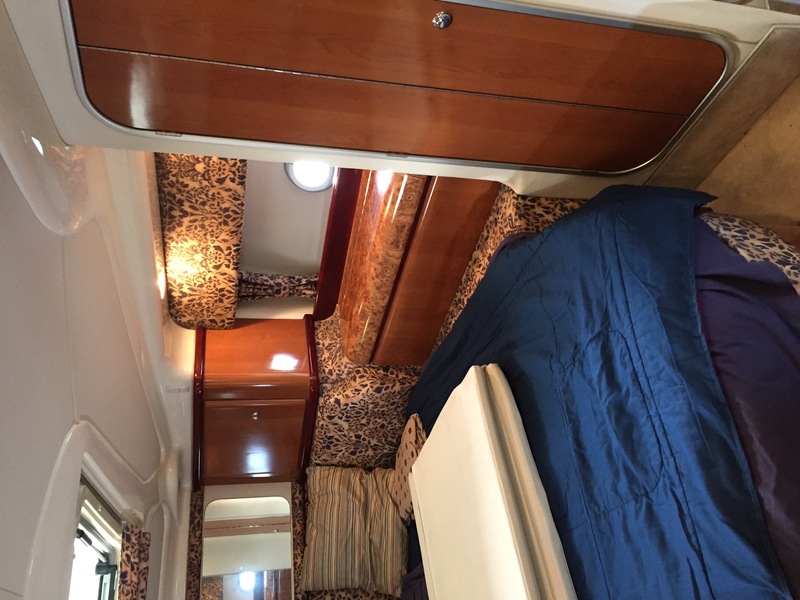 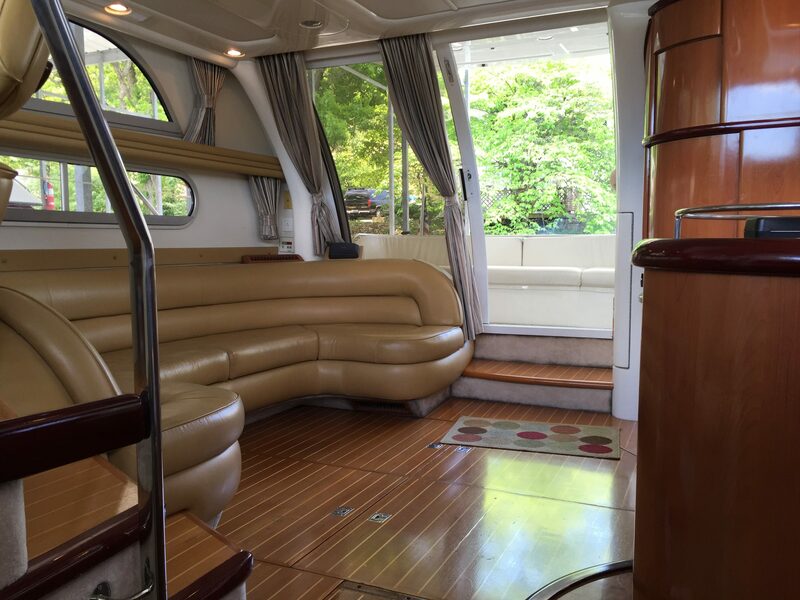 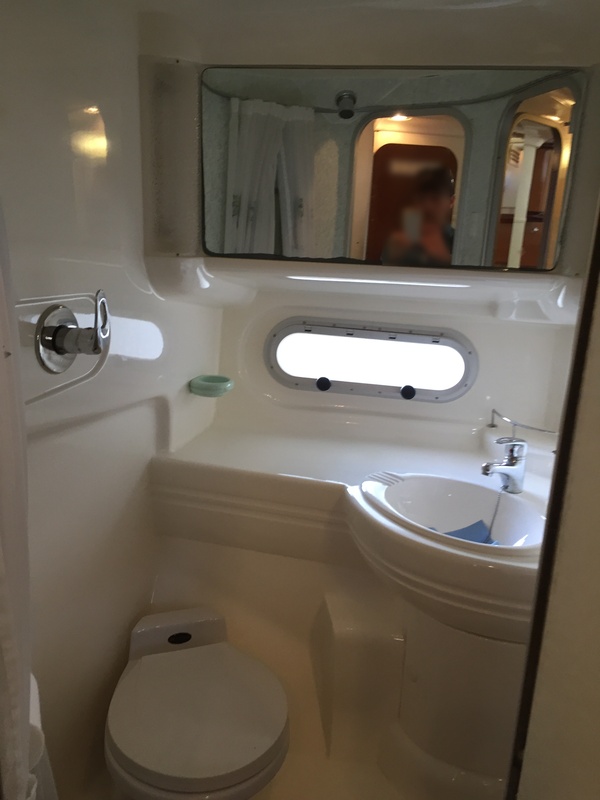 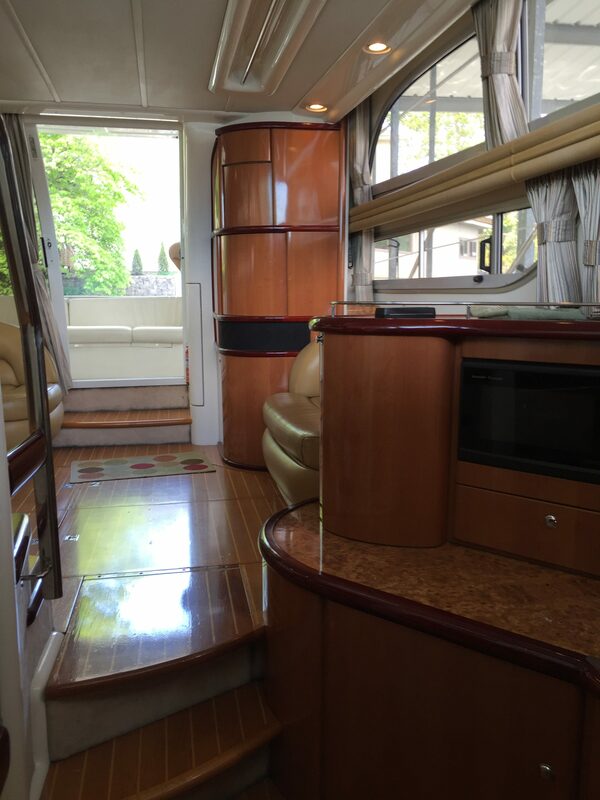 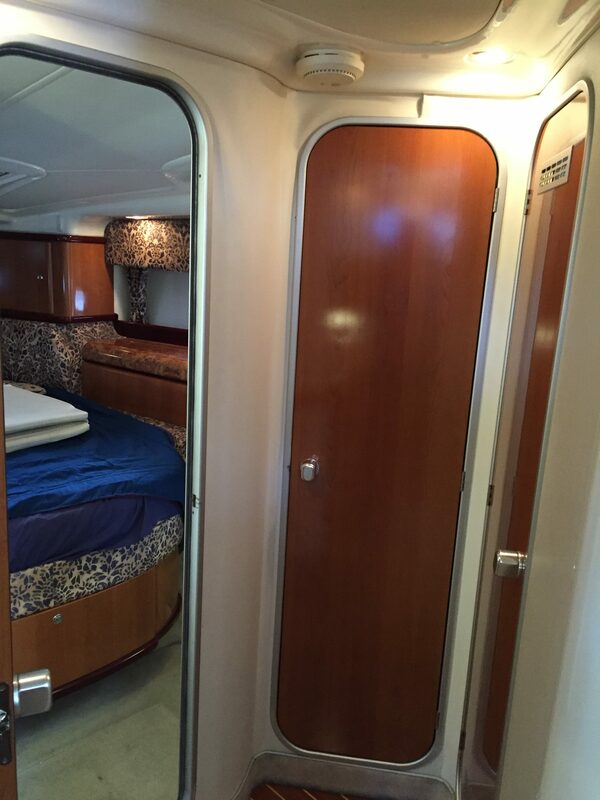 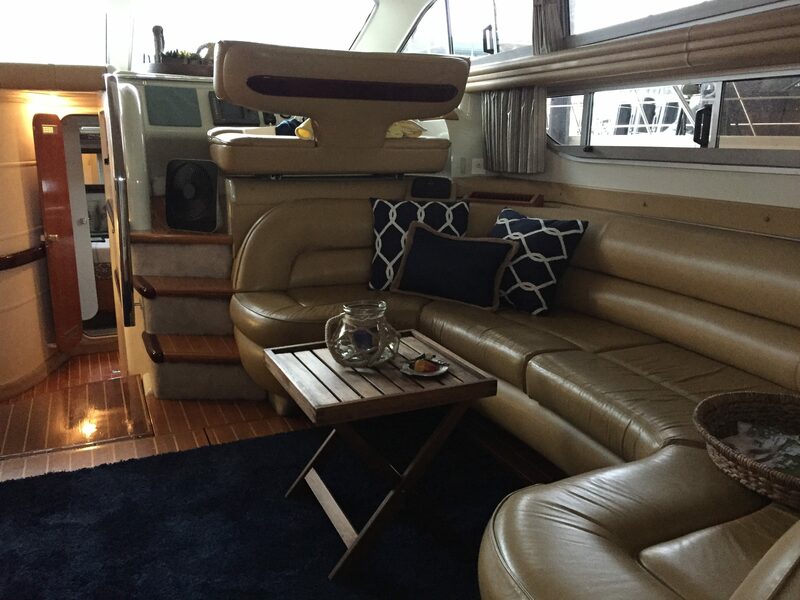 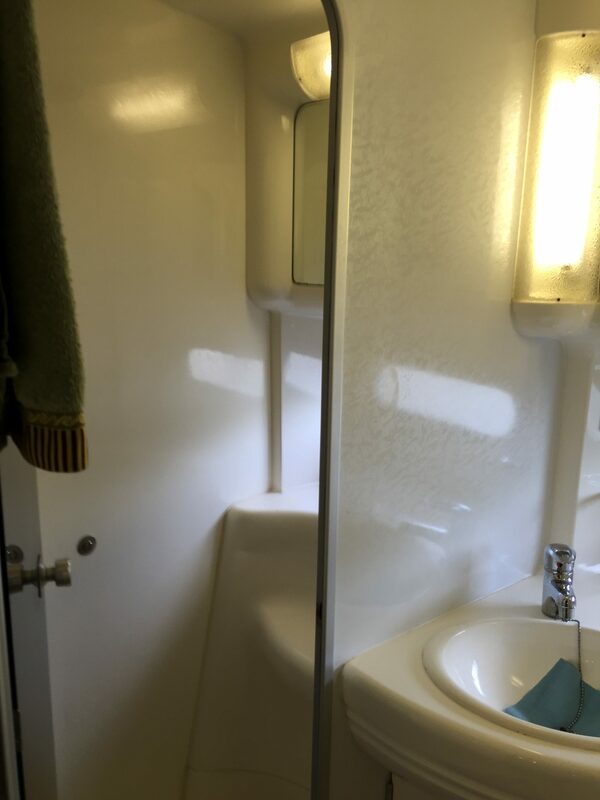 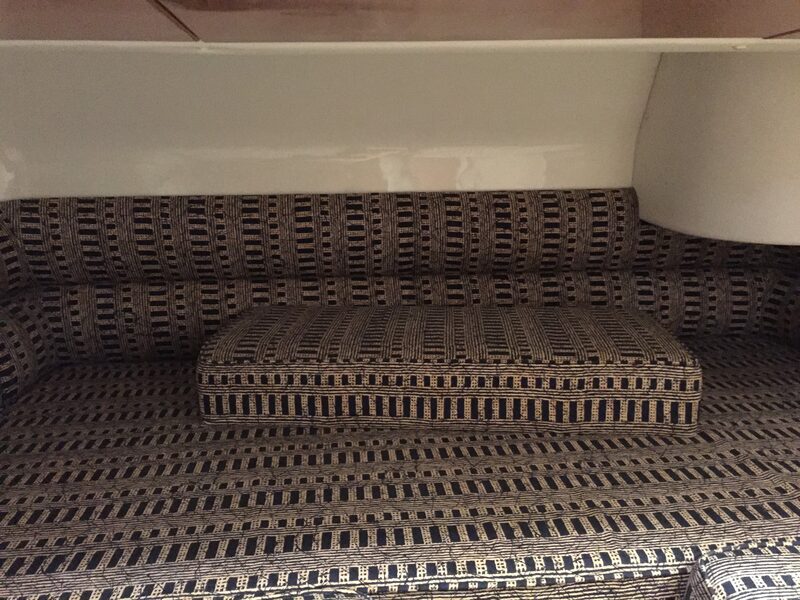 Accommodations: Queen size bed in master berth with vacuflush head and separate shower, 2nd stateroom with two single beds or converts to queen size bed, additional head with vacuflush head and shower, JVC Television, Aiwa AM/FM/CD player for cabin, and Sony AM/FM/CD player for exterior. 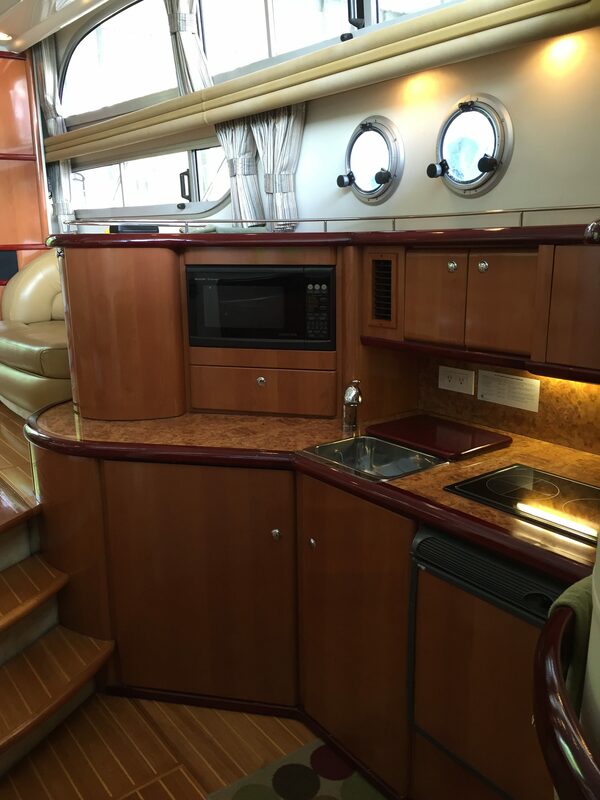 Galley: 2 Burner Electric Range, Microwave, Two Refrigerators with Freezer, Bottle Storage and Wet Bar and Double Sink. 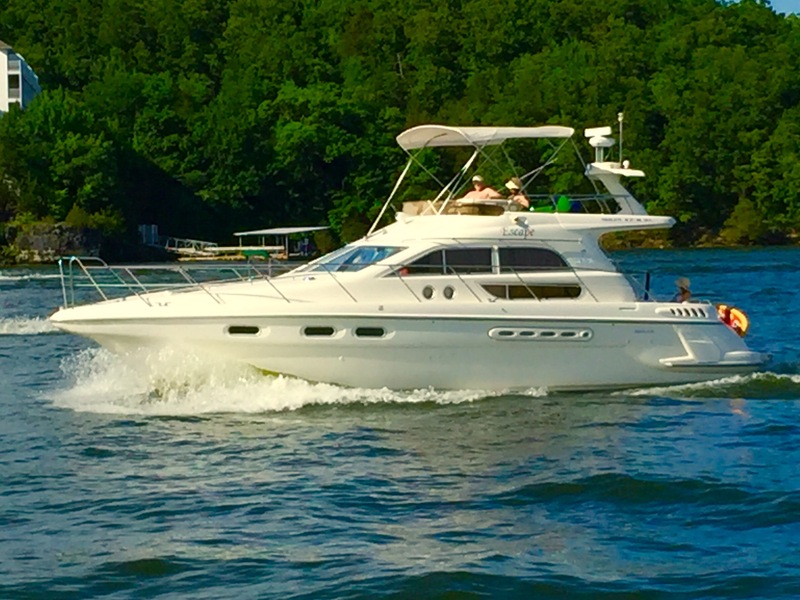 Elec/Mech: 3 AC/Heat systems, Anchor windlass, Raytheon Nav 398 Radar, Depthfinder, Trim Tabs, Halon, Closed Cooling, Water Heater, Battery Charger, Bow Thruster, and Rudder Angle Indicator. 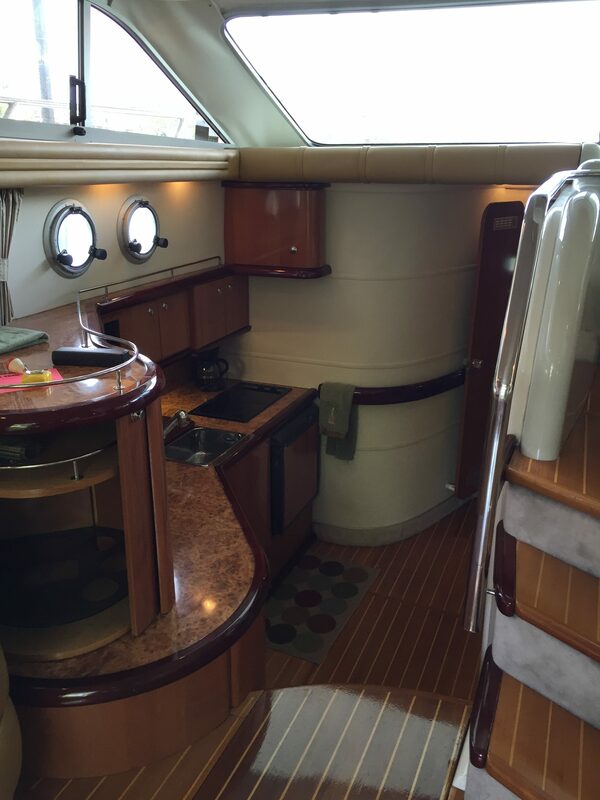 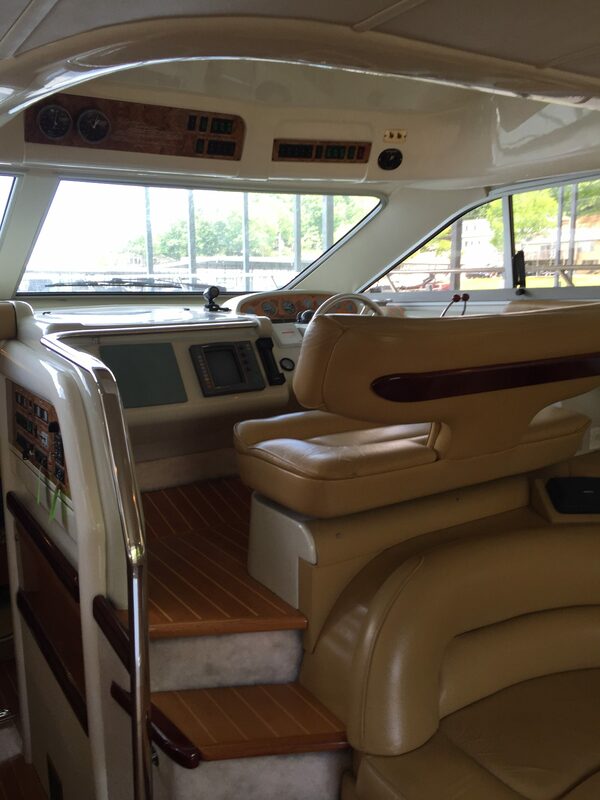 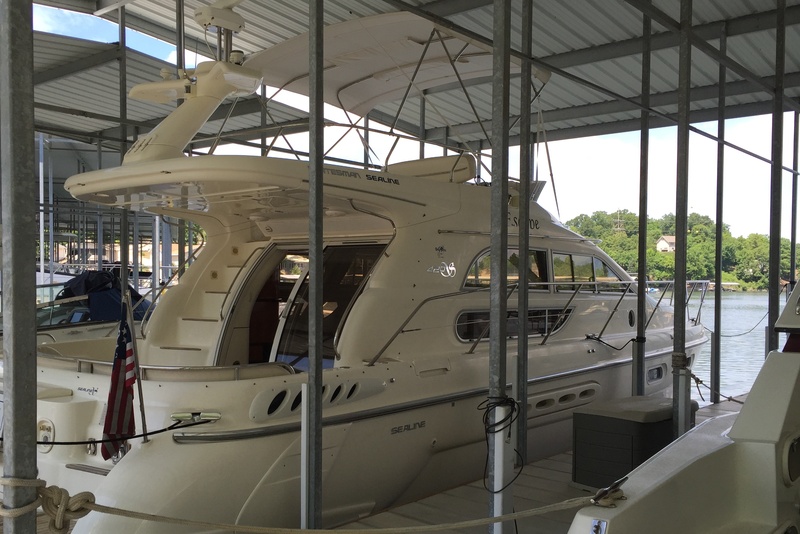 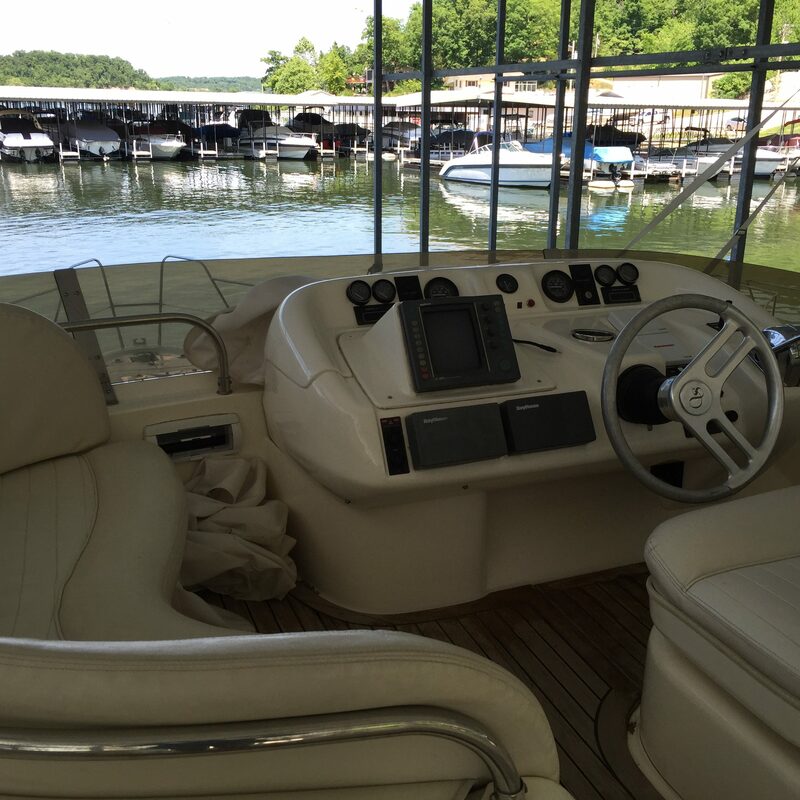 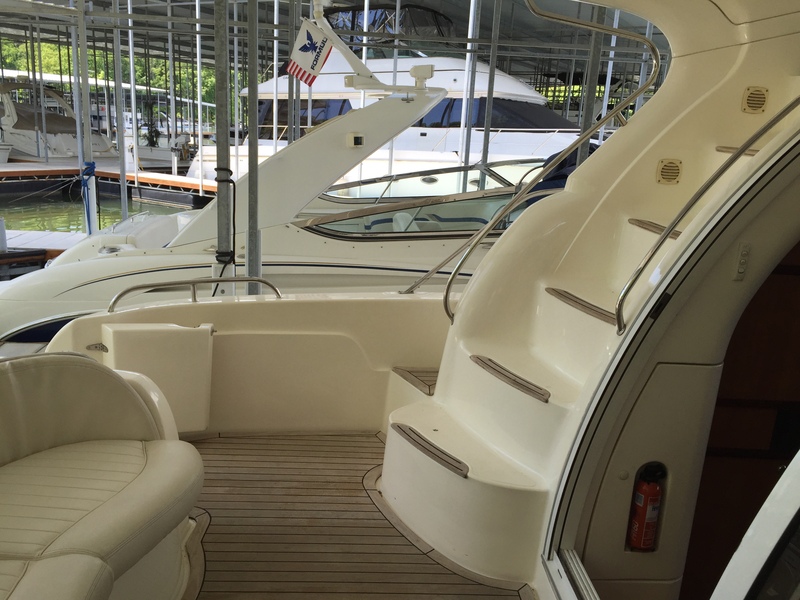 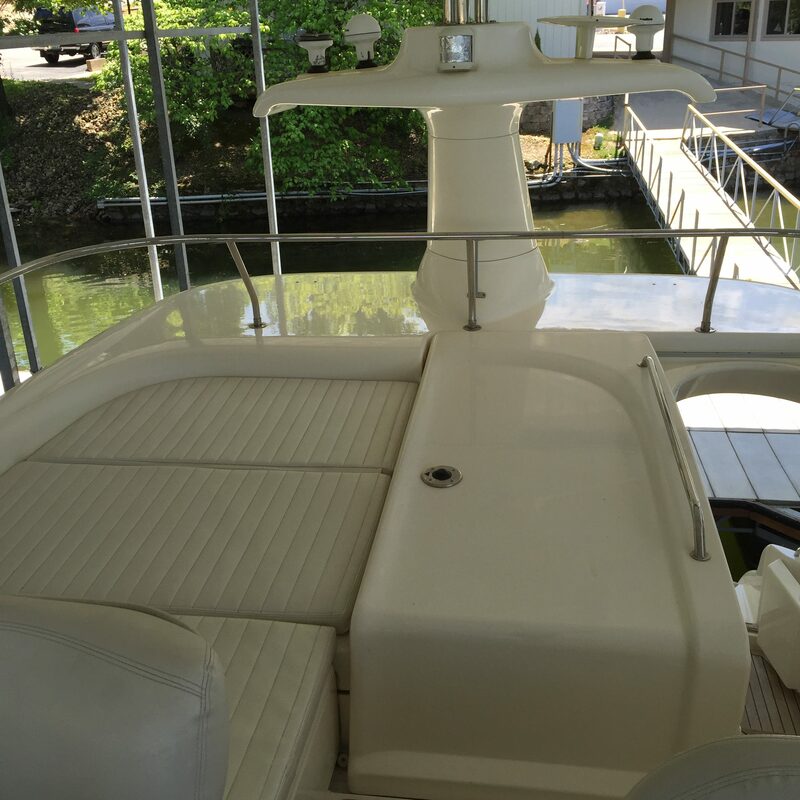 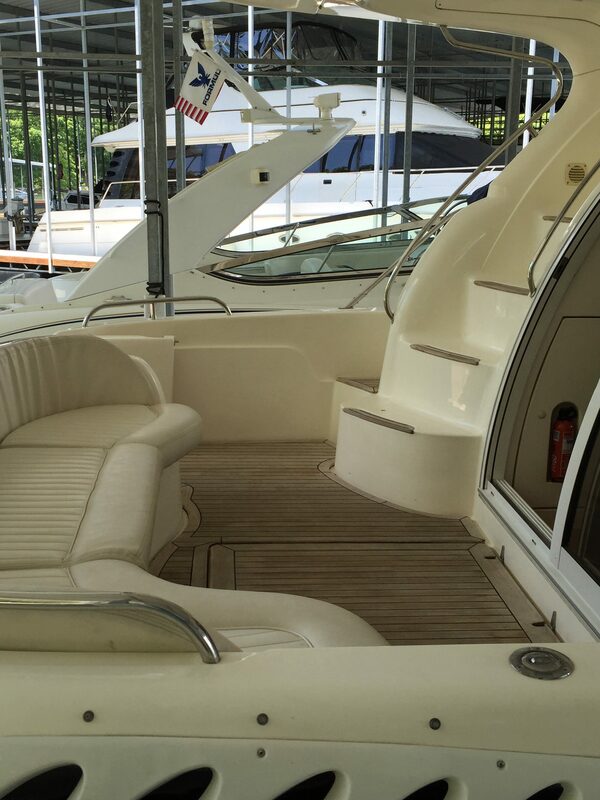 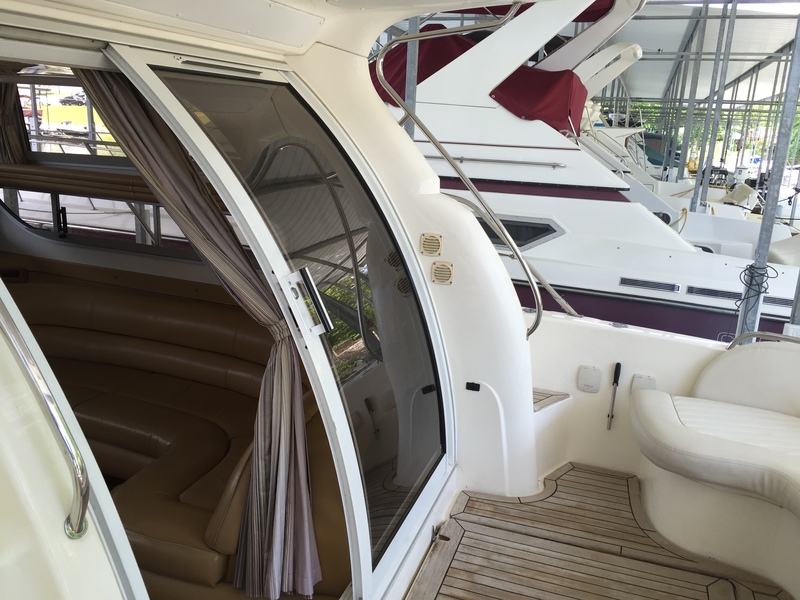 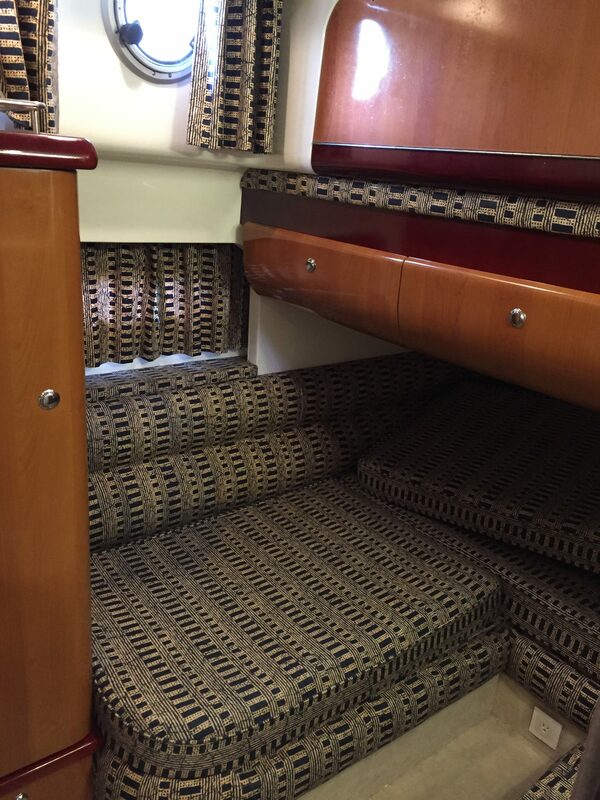 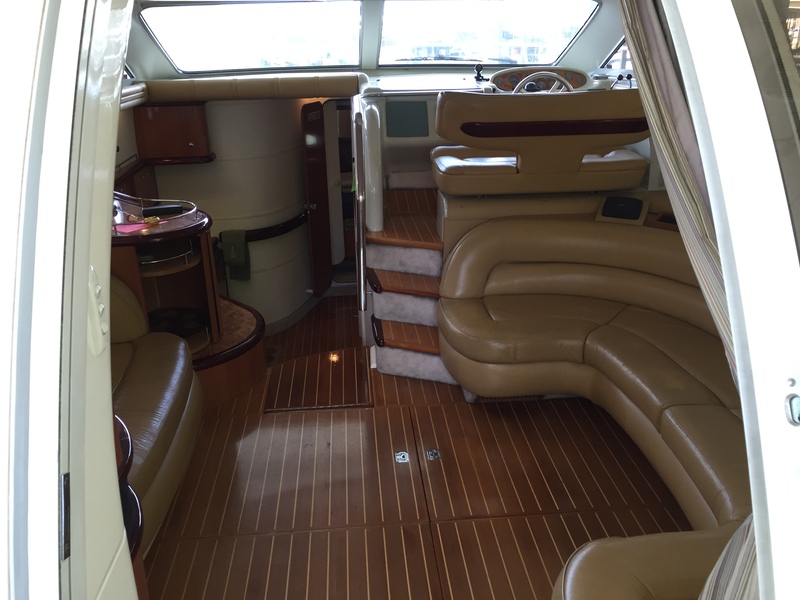 Deck/Hull: Anchor/windlass/pulpit, Shore Power, Compass, Dual Helm Stations, Transom Shower with hot and cold water, Spotlight, Shore Water, Sunpad, Swim Platform, and Upgraded Teak Cockpit Flooring.